Yay! 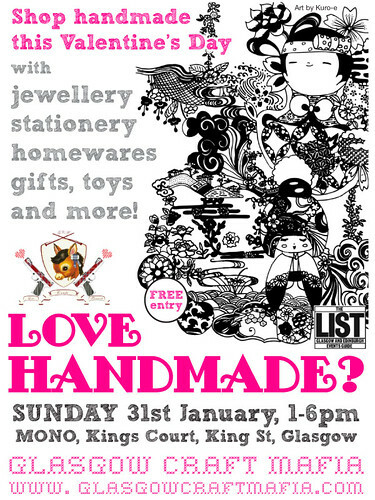 The Glasgow Craft Mafia‘s relaxed Sunday afternoon markets return for 2010. We won’t be there every month like last year so get along if you can. 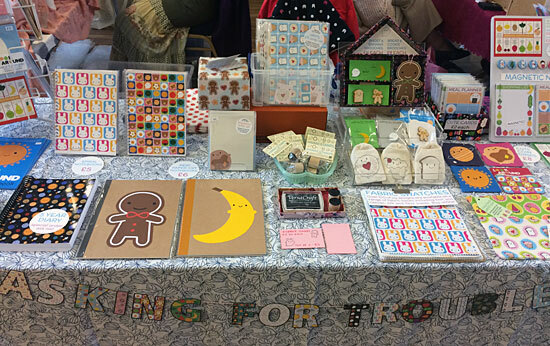 I will be there this Sunday with a selection of my wares including perfect Valentine’s Day gifts and cards, and a bargain box! I’m not bringing all my stuff so if you’re coming along and want something in particular let me know so I can make sure to bring it! 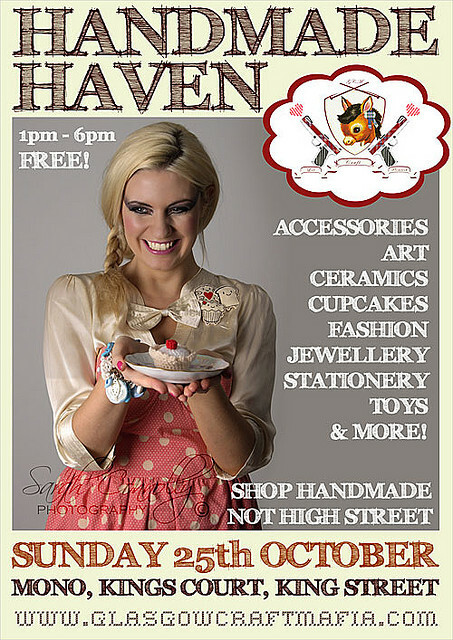 I did the flyer too, using Chloe from Kuro-e‘s lovely illustration. There’s some more of my recent design work on my portfolio site.